Only apply if you will pay $1.- product cost. We require minimum verification percentage of 90%. Please do not apply if your verification percentage is lower. Discounted from $12.99. Only apply if you will pay $1.- product cost. We require minimum verification percentage of 90%. Please do not apply if your verification percentage is lower. 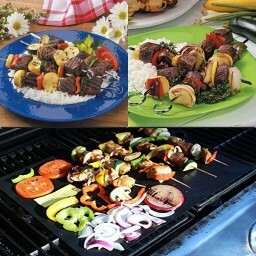 EkSel Grill Mats keep your oven and BBQ set clean, no food falls through the grill grates. 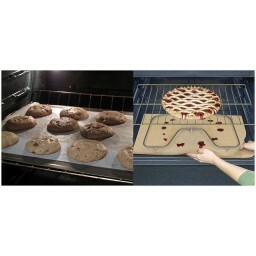 ekSel grill mats are non-stick, cakes, cookies come off easily, your oven stays clean. 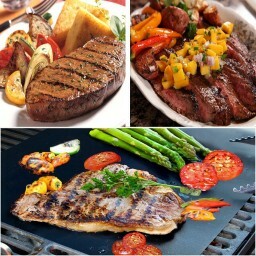 Grill almost anything in a healthy way, no fat or oil is required, food just does not stick ekSel oven & grill mats. Grill Steak, Bacon, Kabobs, Chicken, Fish, peppers, tomatoes, eggs. Non-stick 100% Guaranteed, PTFE coated fibreglass. PFOA, BPA, Silicone FREE & FDA approved. 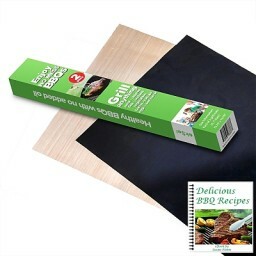 When you order ekSel Grill Mats, you also get our delicious BBQ recipes eBook absolutely FREE.